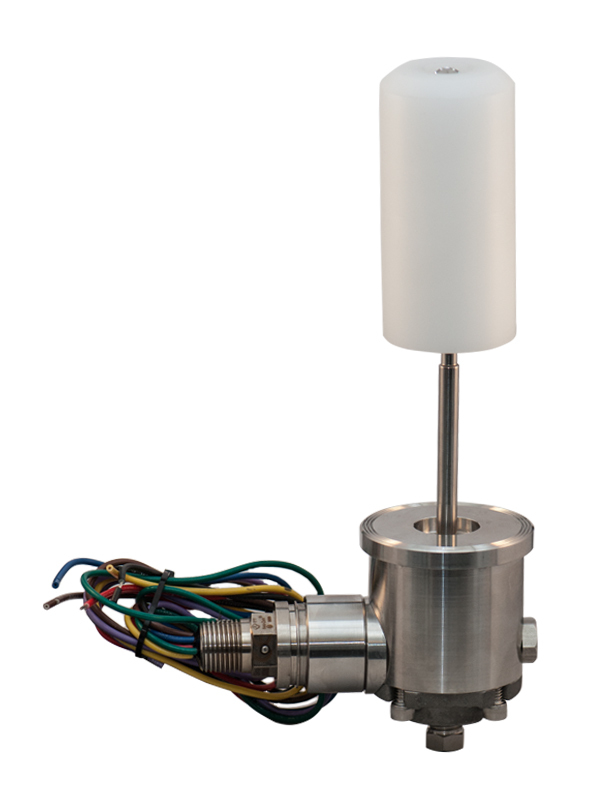 Incorporating the same operational performance as the Model 38C2 but with the reliable slip ring mounting of the 31C2, the Model 39C2 Flex Level Switch is well suited for the harshest operating conditions and environments. In combination with the optional mounting accessories and displacer variations, this switch finds many uses in both the oil and gas producing and petrochemical industries. Its nonmagnetic direct acting principle provides a high degree of reliability in any safety or control system. Hangdown displacers for easy top mounting on vessel with 1 1/2″ to 4″ connections using standard pipe fittings.